Product #27158 | SKU A-5880A-GB | 0.0 (no ratings yet) Thanks for your rating! 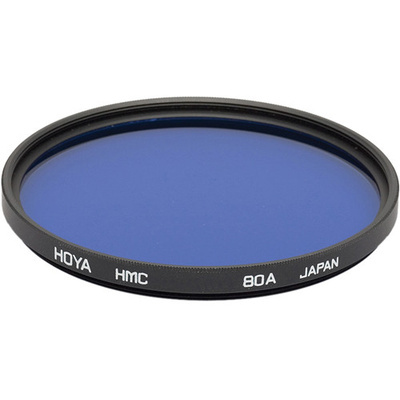 The Hoya 58mm 80A Hoya Multi-Coated (HMC) Glass filter is blue. It is used to balance daylight film under artificial, tungsten or standard (household) incandescent lighting.